Leet Township owns and maintains four recreational parks for residents to enjoy. Plum Street Park Pavilion is the only pavilion that requires reservations for use. Rental information is listed below. 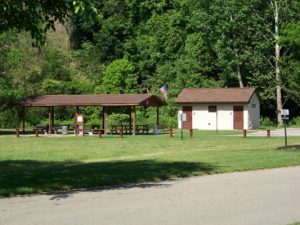 Located at the entrance to Quaker Heights, Camp Meeting Road, Sewickley, PA 15143 Quaker Heights Park offers playground equipment, a cooking grill and pavilion for use by residents. There are no restroom facilities at this park. No reservations are required to use this park. Located at 140 Mound Street, Fair Oaks, PA 15003 Our Mound Street Playground offers fun playground equipment as well as a softball field. Residents are asked to refrain from taking their pets onto the field as the playground needs to be kept clean for those children at play. Remember, this is a softball field, hard baseballs should not be used [for safety]. No reservations are required to use this park. 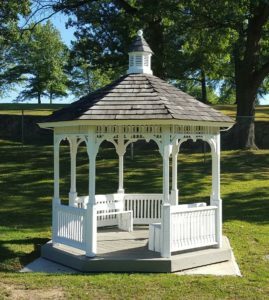 Located at 198 Ambridge Ave., Fair Oaks, PA 15003 The Ambridge Avenue Playground offers various courts for activities and a shaded gazebo area for rest. 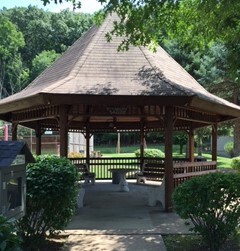 Leet Township’s “Little Free Library” is located in this park at the entrance to the pavilion. The park is located next to the Township Building. No reservations are required to use this park. Plum Street Park Ordinance (PDF – click to open) Please call 724-266-2280, option 1 for availability. Reservation must be made through the office and deposit must be received to be placed on the calendar. First come, first serve. The Calendar is updated from time to time and may not reflect all of the rentals. As stated above, you must contact the Manager’s Office and place a deposit to reserve the park. Dates are not held without Manager approval and a deposit.